Window cleaning: Your windows will sparkle like new after our expert team is done with them. We offer this service for one-, two- and three-story buildings. Solar panel cleaning: Maintain the efficiency and aesthetic integrity of your solar panels by trusting Squeeky Clean Windows & Janitorial to provide quality solar panel cleaning services in Bakersfield, CA. Blind cleaning: Keep your drapes free of dust and debris by investing in our blind cleaning services. You will notice an improvement in your air quality, and less dust around the house. Pressure washing: We provide pressure washing services for both indoor and outdoor surfaces, so that your property will look great from every angle. Toilet and faucets maintenance: You’ll find yourself needing to call the plumber less often when you invest in quality toilet and faucet cleaning and maintenance. Squeeky Clean Windows & Janitorial is up to the job. Dryer vent cleaning: Your dryer will be more efficient and easier to use than ever after our team of experienced employees start providing regular vent cleaning services. General maintenance: A lot of different factors go into maintaining a property. Rather than stressing out over each one, let Squeeky Clean Windows & Janitorial handle it all for you. 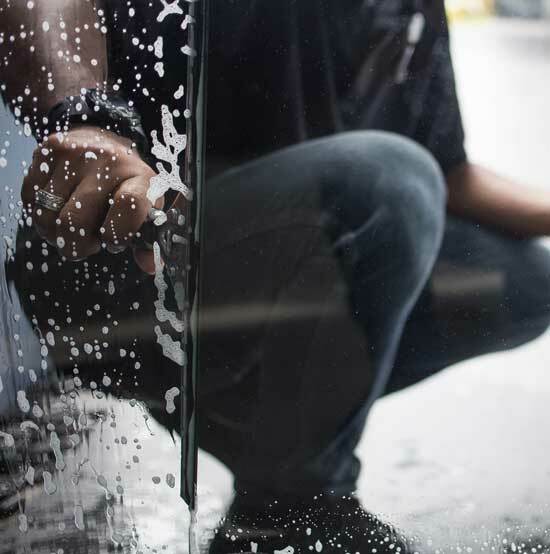 Whatever service you hire us to perform, Squeeky Clean Windows & Janitorial has the resources, experience and dedication needed to get the job done right, every time. For more information, please give our team a call at 661-472-9799, or visit our Contact Us page. We look forward to hearing from you. "Juan always does an excellent job on our windows and shower stall. He has also for the last two years done a great job on power washing our ..."
"For years, Juan with Squeeky Clean Windows has always done a great job cleaning windows, pressure washing the house exterior or just replaci..."
"Juan is the BEST! He has been cleaning our windows and pressure washing our concrete for years. Always kind, always honest, and always does ..."
"Great company! Juan was very friendly and did an amazing job cleaning the exterior of our home! Definitely recommend them!" "Excellent service done with a smile."